Learning from experience, research and knowledge of good practice. PAMIS recognise that communities do not mean to exclude people with profound and multiple learning disabilities (PMLD) they are just not always sure how to include them. PAMIS has a range of learning and development resources that support inclusion, developing skills and knowledge within those caring and supporting the person with PMLD. We support the involvement of family carers as co-educators, a model that has been developed over the past 25 years and ensures accessible, relevant and successful delivery of range of courses. We offer face to face courses, events and other training and development opportunities for family, paid carers and professionals working in health and social care. There are also opportunities for participants to be involved in reflective practice. This can also contribute towards continuing professional development, including CPD for the Health and Care Professions Council as well as Post-Registration Training and Learning (PRTL) for the Scottish Social Services Council. Our Learning Hub provides access to a wide variety of learning resources, online courses and professional development tools. Our Bereavement & Loss Training is highly acclaimed. This 2 day course is facilitated by the PAMIS Bereavement and Loss Project Team and includes a copy of our pack which won the 2014 Linda McEnhill Award for ‘Outstanding end of life support of an individual with learning disabilities’. We are running course in October 2018 and January 2019 (locations to be finalised). Emergency First Aid at Work (With PMLD Specific Information) Accredited one day course. The PMLD focus looks at adapting first aid to the particular needs of people who have a PMLD i.e. CPR when someone has a compromised body shape, epilepsy management, postural care, and airway management. You will gain an award in Emergency First Aid at Work at SCQF Level 6. Course includes added AED training- Automated External Defibrilator. Understanding Communication and Behaviour This two day course looks at communication that challenges us, sensory integration, communication through behaviour and active support and is delivered by specialists in the field of Occupational Therapy, a speech and language therapist and a family carer. 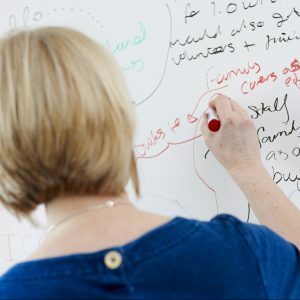 Connections is a one day introductory course to multi-sensory storytelling that will support you to explore your own imagination and creativity. You will be gently guided through the process of understanding how multi-sensory stories are created, understood, developed and shared in many different ways and for many different reasons. There will be an opportunity to explore the many ways to develop multi-sensory stories both with people with profound and multiple learning disabilities, and for them, and to explore the senses and look at how, through creating and sharing sensory stories together, you can create connections. This PAMIS training is being hosted by SensationALL in Westhill, Aberdeenshire. Tuesday, 11 June 2019 from 10:00 to 16:00. If you would like more information about any of our courses please contact Fiona Harper on f.k.harper@dundee.ac.uk or call 01382 385154. If you register an interest in a course we will contact you as soon as a course becomes available. Alternatively if your organisation has a number of staff to train we can come to you and deliver training in-house at a time that suits you.